When you use Apple Pay, you save the merchant money, But that's not something retailers can tell American Express users. The Supreme Court handed down a number of high-profile rulings this week. 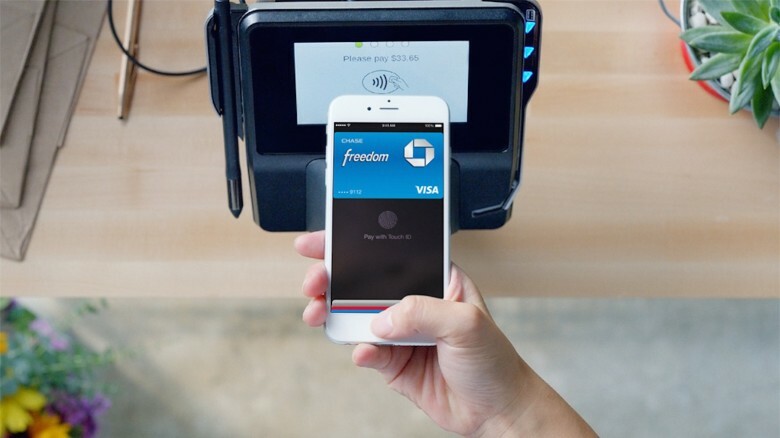 One that didn’t get much attention will have a negative effect on Apple Pay. The SCOTUS decided that retail store owners who accept American Express can not suggest to customers who bring out this card that they use another method of payment. That includes Apple Pay, even though this iPhone payment system would save the merchant money. The agreement businesses sign with American Express specifically says they can’t suggest customers use another type of credit card. It’s this provision that caused the Justice Department to bring suit against AmEx on anti-trust grounds. Retailers don’t want to turn away customers who use American Express cards, but this card charges some of the highest merchant fees in the industry. AmEx charges hotel or resturant 3.5 percent of the total purchase, and 2.9 percent of retail purchases. By contrast, Apple Pay has some of the lowest merchant costs. Apple was able to negotiate lower “swipe fees” with the banks who offer the credit cards that are linked to Apple Pay accounts. This is because the iPhone-based payment system is so secure that banks have less worry about fraud. But the Supreme Court’s ruling this week means that a retailer can not, for example, suggest to a customer who pulls out an American Express card “I see you have an iPhone. Why don’t you use Apple Pay?” If their Apple Pay account is linked to a Visa card instead of the AmEx, then the retailer has just suggested that the person use another type of credit card. On top of that, Apple is providing a service for a collection of competing credit card companies, and it’s not in Apple’s best interest for any of these to become significantly more powerful than any of the others. That company might decide it doesn’t need to support Apple Pay any more. The Justices Department and retailers feel AmEx is being anti-competitive, even if the Supreme Court doesn’t agree. Not surprisingly, retailers are unhappy with the decision. “The American Express rules in question have amounted to a gag order on retailers’ ability to educate their customers on how high swipe fees drive up the price of merchandise,” said National Retail Federation general counsel Stephanie Martz in a statement. The SCOTUS decision in favor of American Express was 5-4, with all five of the conservative judges ruling in favor of the credit card company.